Helen Hester spent the months after Hurricane Katrina sitting in front of a cage, reading the newspaper to a dog named Chaz. He'd been wandering the streets, and it wasn't safe for anyone to interact with him. Hester was determined to get him used to people again. She went to the New Orleans SPCA shelter every day, sat right in front of his cage, and read. "He didn't remember that humans were his friends," she said. She would read The New York Times and sometimes The New Orleans Times Picayune. She mostly read about the storm and the recovery, but sometimes, just for something lighter, she'd read him the arts section too. Chaz was in the crate for months. The SPCA had lost its building in the storm so the shelter was housed in a coffee warehouse with no running water and no air conditioning. There were tarps on the roof but it still leaked. Hundreds of rescued dogs came in every day. "I remember just being amazed at the commitment and dedication of the staff and the volunteers that were there around the clock," said Ana Zorrilla, CEO of the New Orleans SPCA. "[They were] just doing everything they possibly could to make the animals comfortable and to help them get over the stress. " As time wore on, the dogs around Chaz were adopted, but he was continually passed over because he still seemed too aggressive. Hester kept hoping his real family would come back for him. No one was sure where Chaz had come from, but he'd been found in one of the most flooded neighborhoods. About 1.2 million people were evacuated from the New Orleans region before the hurricane hit. Those evacuated were told they couldn't bring their pets. After the storm, the New Orleans SPCA embarked on the largest animal rescue operation ever seen in the U.S. Volunteers took rowboats to the flooded streets, picking dogs off the roofs and cats out of the water. It's estimated 15,000 pets were rescued. But nearly 90,000 New Orleans-area pets have never been accounted for, and some reports estimate that 600,000 animals died or were left without shelter as a result of the hurricane. The rescued animals were kept in crates. If they had become too wild, like Chaz, they went into a special area, called the "rehab tent." The packs of dogs running through New Orleans after the storm, and the news reports of heartbroken owners searching for their animals, garnered national attention. In 2006, the Senate passed the the Pet Evacuation & Transportation Standards (PETS) Act, which authorizes FEMA to rescue, shelter and care for people with pets and service animals. This could save not only the lives of pets, but people too -- about 44% of the 100,000 who did not evacuate stayed because they didn't want to leave their pets behind, according to a report by the Fritz Institute. Chaz's owner never came to claim him. Once Hester knew he wasn't going to be claimed or adopted, she had to make a decision. The shelter was only getting more crowded, and some animals had to be euthanized. "Gradually it came to me that his real family had found him, and it was myself," Hester said. 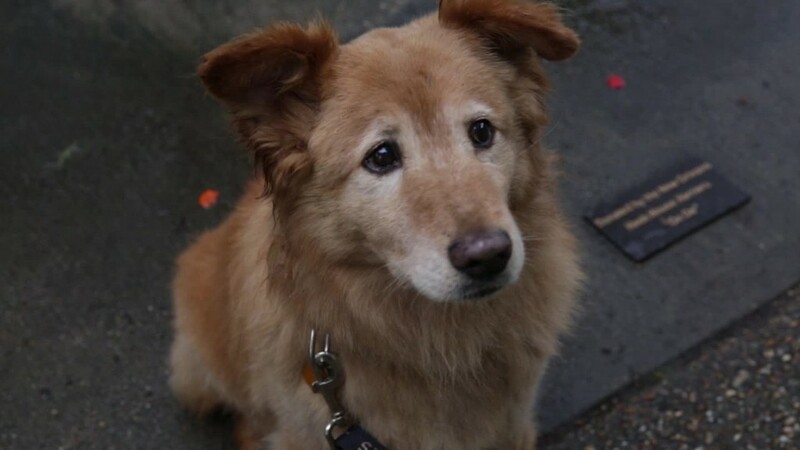 Now together for ten years, and she says he's a loving dog who still gets terrified during thunderstorms. Hester, who was a cat person before Katrina, now has three dogs, including Chaz. She also has a van -- just in case. "I can fit both the cats and the dogs in there safely," she said. "And maybe a neighbor or two." 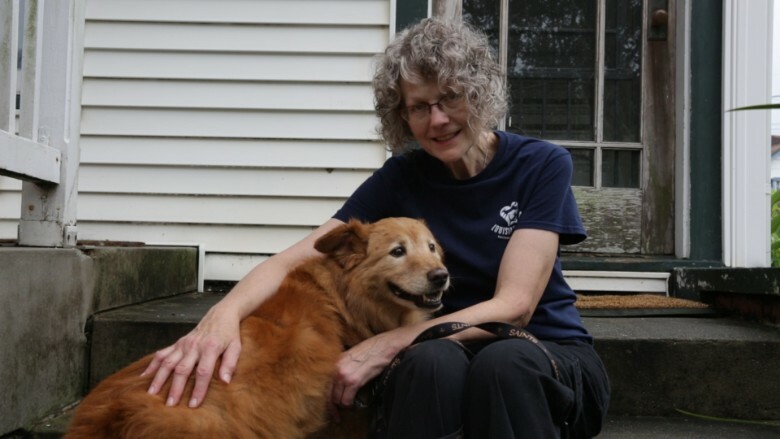 Helen Hester volunteered at the SPCA after Katrina and adopted Chaz several months later.